Though perhaps not as charming as "The Road to Live," this tune ["Demonstrate, Demonstrate your Faith" - advice for the student protesters] is of interest for it's sheer ineptness: ham-fisted guitar, lyrics that don't scan - I literally cannot make either rhyme or reason out of this one. 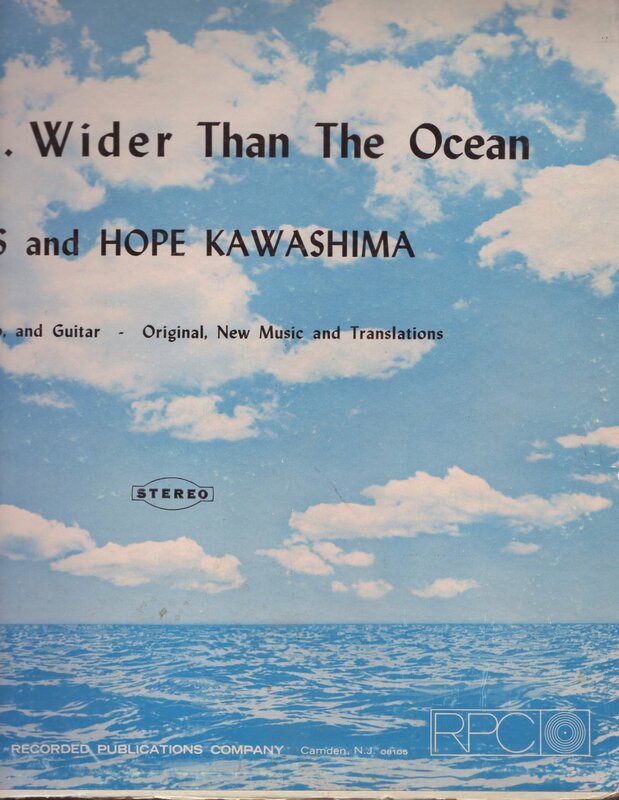 Side two finds them massacring the classics - in Japanese. Quothe the liner notes: "Following the trend of the current Jesus Movement, these new, original songs express the feelings of young people searching for something to believe in and to hope for. The words and music are written for the Now Generation with their concerns for love, pollution, ecology, war, racial tensions and frustrations of living in a technological age." The address listed on the back cover: 666 (!?!) NW 4th Ave., Ontario, OR. By request, I've recorded the whole thing, and side one really is wonderful - nine nutzoid tracks of female warbling, low (and I mean really low) fidelity guitar and/or piano music, and charmingly amateurish songwriting. 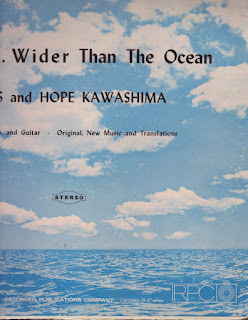 Side two features a different (male) singer, is all in Japanese, and except for the swell "Ode To Joy," I don't recognize the songs. I think they're mostly hymns. 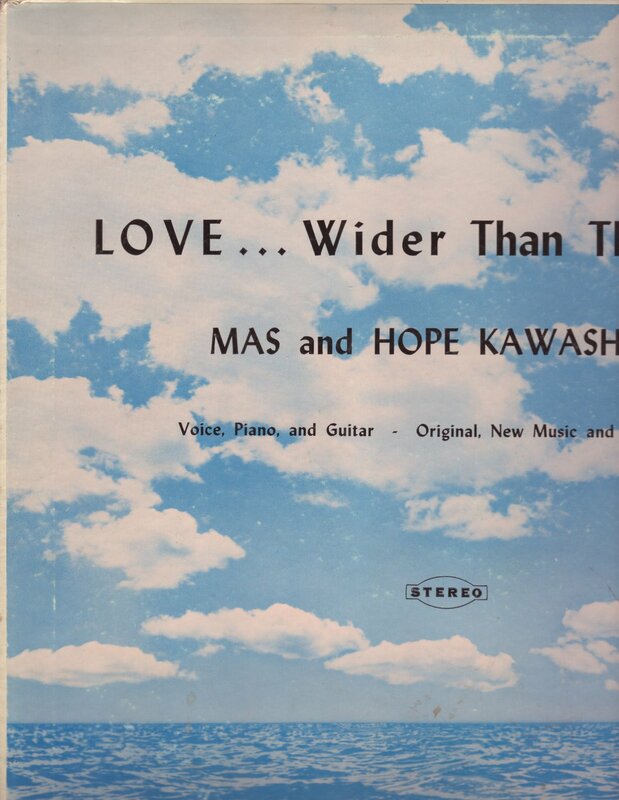 Mas & Hope Kawashima - "Love...Wider Than The Ocean"
There is no info on the 'net about this album. 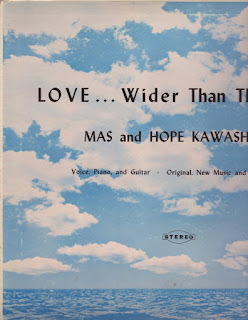 Mas & Hope were married and were reverends working with Japanese-American churches, mainly in Northern California, but otherwise I could find no info about this or any other musical projects they might have had. Wow, the whistler Fred Lowry - thanks for reminding me about him. I've had an album of his for ages that I believe one of the "Incredibly Strange Music" comps featured a track from, his version of "William Tell Overture."